One of the big headlines at E3 this year is the evolution of motion control, expanding on what Nintendo’s Wii introduced a few years back. Microsoft has stepped up to the plate with Kinect (formally Project Natal). The question that many have, myself included, has been whether or not Kinect really is as responsive and fun as it looked in all the E3 press conferences. Yesterday, senior reporter Dominic Raad and I were able to demo Dance Central, the new dance game by Harmonix and MTV Games, and found out just how fun a dance game on the Kinect can be.I was the primary player in the demo and therefore had full control over menus and song selection. The professional dancer running the demo walked me through the game set-up, explaining how to scroll through the soundtrack to choose songs, set difficulty, and maneuvering through menus, all using my hands. The hand motion did take a minute or two to get used to, but once I did I found it incredibly intuitive, easy to use, and, most importantly, very responsive. There was no perceivable delay in my hand movements and what I wanted to have happen on the screen. But the real test came when the dancing started. Mr. Raad and I danced to Lady Gaga’s Poker Face (against Dominic’s will) on Medium difficulty (with the help of the professional dancer guiding us through the moves, of course), and were able to get 5 stars on the song! CEO and founder Sahas Katta was kind enough to record our performance, so check out the video below to see us bust our moves. I was pleasantly surprised to find that Kinect tracked my movements perfectly, just like it did in the menu. I say pleasantly surprised because when I’ve played competing dance titles in the past, Just Dance (Wii). The other players and I had some trouble with delay, which caused scores to be a little lower than expected and the gameplay to be less responsive overall. 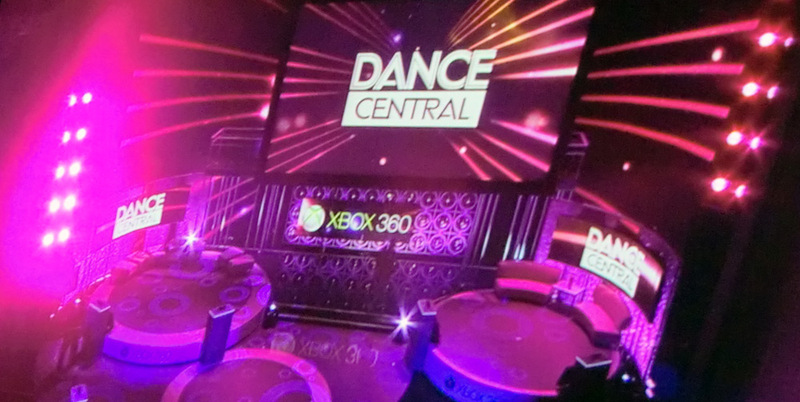 With Dance Central, on the other hand, you can only blame yourself for not getting the score you want. Also, not having to hold onto a controller of any sort was pretty nice since it was one less distraction for me and my dancing. Ubisoft and Wii should be more than a little worried right now, because with highly responsive gameplay and no controller required, Dance Central looks poised to completely annihilate Just Dance and Just Dance 2 in the dance game genre. Look for Dance Central to hit U.S. store shelves on November 4, 2010.